Forget everything you’ve been told about moisturizing, it’s time to discover Hydration! Hydration is the key to healthy looking skin. 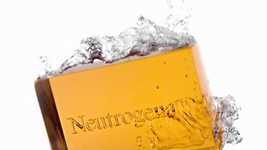 With ultra-hydrating hyaluronic acid, Neutrogena®Hydro Boost Gel Cream instantly plumps skin with intense hydration and releases it progressively when your skin needs it most. So your skin will stay hydrated and smooth with a healthy-looking glow day after day. Neutrogena® | See what's possible.